Dr. Kira Stein of the West Coast TMS Institute talks with author Andy Behrman about electroconvulsive therapy (ECT), a standard treatment for severe depression as well as transcranial magnetic stimulation (TMS), another treatment for severe depression. Note that Dr. Stein is speaking of these two therapies' potential utility in treatment-resistant major depression. However, ECT is also used to treat bipolar depression, mania, catatonia, and schizophrenia, using TMS for these conditions is considered off-label as it has not been approved by the FDA. Andy Behrman: How does TMS work differently from electroshock therapy (ECT)? What are the advantages of TMS over medication and ECT? Dr. Kira Stein: ECT works by applying direct electric currents to the patient's head while they are sedated and immobilized, intentionally causing a "therapeutic seizure" in order to reset the brain. ECT is associated with short-term cognitive effects that often, but not always, preclude independent living during the period of time ECT is delivered. Other potential side effects of ECT include a headache, muscle aches, nausea, transient changes in heart rate, blood pressure, and transient arrhythmias. Long-term memory deficits, although rare, are also a potential complication of ECT. As a result, ECT is rarely considered as a first, second, or even a third line treatment, except for very aggressive and rapidly deteriorating cases of depression, or depressions that also have psychotic symptoms. The invasive nature and risks of ECT usually require patients to take a temporary leave from work and psychotherapy and employ caregivers or hospitalization. Unlike ECT, however, TMS does not involve the application of direct electrical currents to a patient's head. TMS is designed to activate the brain's healing process more gently by magnetically stimulating a very discrete part of the brain while avoiding global seizures and cognitive dysfunction. 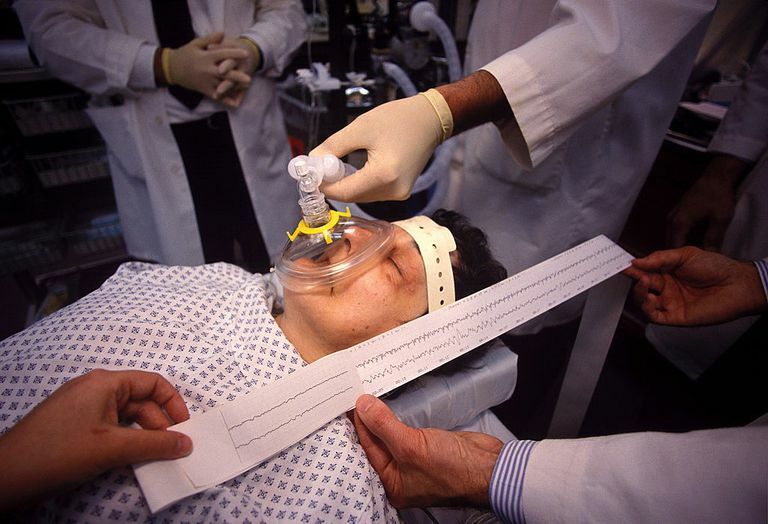 TMS involves few side effects, thereby enabling patients to remain awake and comfortable during treatments. Magnetic stimulation also enables patients to live independently, continue to go to work daily and to participate in remission-promoting activities such as psychotherapy and exercise. These ongoing pursuits are extremely difficult to do during a course of ECT, and many people feel ECT is too extreme for their level of depressive symptoms. Andy Behrman: ECT has always been considered a last resort. Do you feel it's the last stop in attempting to stabilize a patient with depression? Dr. Kira Stein: Every day we are learning new and better ways to treat depression. There is always hope, and I would never say that any treatment is a patient's "last stop." New psychotherapies, medications, brain stimulation techniques and even nutritional augmentations are developing all the time. Unfortunately, the oversimplification and stigmatization of ECT by the media has led treatment-resistant and severely depressed patients to reject it, even when the benefits of ECT's very robust 80 to 90 percent response rate and the potential for rapid action clearly outweigh the risks. ECT is a very valuable and appropriate option for patients suffering from extremely acute and dangerous cases of depression which either have not responded to—or do not have the time to respond to—medication, TMS, or other interventions. Andy Behrman: Should TMS ever be considered for patients who have not responded to ECT? Dr. Kira Stein: Yes, some people who have not responded to ECT have been shown to respond to TMS. Andy Behrman: The goal of medication is to alter brain chemistry. Is it fair to say that electrical or magnetic stimulation do the same thing? Dr. Kira Stein: It appears that medications, TMS, and ECT all ultimately cause changes in neurotransmitter levels and receptors, as well as increased levels of healing proteins such as brain-derived neurotrophic factor (BDNF). The prefrontal cortex is known to be the part of the brain with the highest level of abnormal connections in depression. It is thought that TMS and ECT normalize frontal lobe activity and connectivity with deeper brain structures. While the knowledge base about the effects of psychiatric treatments has grown in recent years, there is so much more we still have to learn. NOTE: Dr. Stein's interview responses are for general information purposes only and are not intended to be professional medical, psychological, or legal advice for any specific situation or individual. This information is intended for individuals and their families to use in consultation with a qualified healthcare professional. Dr. Stein does not warrant or make any representations, and disclaims any and all liability, concerning any treatment or action by any individual who has made decisions based on information from this interview.